A car dealer based in Cradley has been jailed for selling vehicles deemed so dangerous and faulty that they could have “killed a child”. Mohammed Khabeer from Birmingham appeared before Wolverhampton Crown Court to face six charges related to unfair trading. Mr. Khabeer pleaded guilty to the charges, was jailed for one year and fined £21,000. Performing adequate checks on all your vehicles is vital to the running of your car dealership. However, you should also be sure to get the fundamentals right too. That includes having the correct levels of motor trade insurance and road risks insurance for your business. 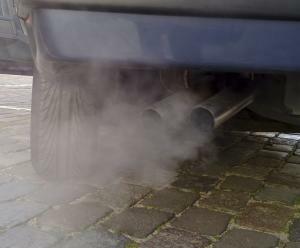 From his company Lyde Green Motor Centre, Mr. Khabeer sold numerous vehicles that were riddled with faults, including one that could have blown up and another that could have leaked carbon monoxide into the passenger footwell. Wolverhampton Crown Court heard that Mr. Khabeer had sold a BMW for £12,800, despite the car having significant faults. The brakes and seatbelts were in a dangerous condition, the headlights didn’t work correctly, the electrics were faulty and warning lights flashed whenever the car started. Furthermore, a Saab vehicle sold by Mr. Khabeer had corroded suspension, as well as exhaust problems that meant the passenger footwell could have filled with carbon monoxide fumes. Mr. Berlin told Mr. Khabeer: "I do not accept that you lack responsibility for what occurred in relation to these two vehicles. “The cars were in an appalling state, and the people who bought them were treated in an appalling way."